The Britax B-Agile 3 is a budget-friendly high-ranking stroller. This stroller has the best score for weight and folded size and impressive results for ease of use and maneuverability. While this small option has much to offer with a large storage basket, a cozy seat, and bigger canopy, it doesn't come with some of the conveniences you may be hoping for like a parent console or cup holder. The B-Agile 3 is easy to push, navigates tight spots with ease, and is light enough to do double duty as a travel stroller. This option is definitely one we recommend to friends. The B-Agile 3 has been discontinued as a standalone product. It has been replaced by the Britax B-Lively. The B-Lively is very similar but it is heavier and somewhat larger. See our full review of the B-Lively for more details. If you love the B-Agile, you may be able to find it as a travel system only at Target stores till the end of 2019. Britax was originated on the idea that parents and children should live life fully and make the most of every moment. Britax strives to design products that are both safe and smart. 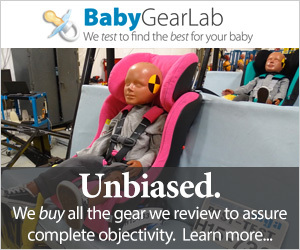 They have been making baby gear for over 70 years. Britax first launched in the United States in 1996 after significant success in Europe with the best-selling car seat. The company is taking a special interest in side impact protection (SIP), car seat installation, and strollers of various kinds. Britax partners with car manufacturers, governments, and child passenger safety experts in order to construct new and safe products for families. Britax recently acquired BOB strollers. The chart below is a comparison of the overall scores for the products we tested including the B-Agile (in blue). The sections below provide details on how this stroller performed in our tests for each metric. The B-Agile 3 earned a 6 of 10 for ease of use. This is one point higher than the similar Baby Jogger City Mini. Ease of use impacts your daily experience with a product. The B-Agile has a simple one-handed fold that requires the pull of a handle on the seat. This is similar to the fold on the Baby Jogger City Mini, but it has a safety release button to prevent little ones from folding the stroller accidentally. This stroller has an automatic lock and a carry strap, but it does not self-stand. Unfolding the B-Agile is an easy two-handed operation. The B-Agile storage bin holds a maximum of 10 lbs, and we were able to fit our Extra-large Diaper Bag inside (above left). The bin has easy access from the back and sides and is a better design than the similar Baby Jogger City Mini that has a bar across the access. You can even access storage with the seat reclined. This stroller has two small pockets on the back of the canopy, but larger items could fall out. Previous versions had a zippered pocket that we preferred (above right). The B-Agile has a large sunshade with a nice mesh peek-a-boo window that allows easy viewing of baby and works as ventilation on hot days. The window cover is a hook and loop closure, which can be loud if your baby is sleeping. This shade works well and looks sharp, covering past the seat bottom edge. The B-Agile has an average 5-point harness. The buckle has two pieces and is fairly stiff to connect and release, but it won't hurt your hands to operate. The harness straps are average to adjust, and they slide up and down. The shoulder straps have additional padding that increases comfort but makes adjustment more difficult. The height adjustment is a rethread style and requires pushing the plastic strap end through the back slot and reinserting into the new chosen height. The seat on the B-Agile 3 has a very deep recline that is almost flat for cozy napping. The recline adjustment is average to use. While it is one-handed to lower two-handed to lift, the one hand can get a little out of control if a baby is in the seat when you lower it. There is nice padding on the seat bottom and back, including the leg rest that is non-adjustable. This stroller has a fairly thick seam on the seat behind the knee bend that could chafe bare legs. Britax is currently redesigning the majority of infant car seat adapters for use with the B-Agile. At the moment, they are only offering the Britax Infant Car Seat Adapters for Cybex, Nuna, Maxi Cosi and the Britax adapter that comes with the stroller. All other brands adapters will be available at some point, though a specific date has not been disclosed. In February 2017, Britax announced a recall on their Click & Go car seat attachment adapters for the Britax B-Agile 3 strollers. While the stroller itself is still safe to use, the adapters used to create a travel system with the Click & Go car seats are not. In some cases, the car seat adapters may disengage from the stroller causing a fall hazard for baby in the infant carrier. Consumers should cease use of adapters and get in touch with Britax for their remedy kit. If you are looking for more information on this matter, or to find out if yours is one of the affected strollers, you can go to the Britax Safety page. The B-Agile 3 took us 5:42 minutes to set up, which is an average time. This includes unpacking the stroller from the box to fully assembled. It requires no tools to assemble, but the manual is only average. This stroller is very easy to put together compared to some of the competition. The B-Agile earned a 6 of 10 for maneuverability. This is one point lower than the Baby Jogger City Mini that earned a 7. This stroller's three-leg design makes it good at navigating tight spaces, and it is so easy to push and turn you can often do it one handed depending on the terrain. Moving off-road is only a little more difficult as it rolls easily through grass, as long as you don't try to turn. It can be a little rough over gravel as the dual front wheel can catch on smaller bumps and rocks causing the stroller to struggle to stay on course. This stroller has all-wheel suspension, a foam covered stationary handlebar, sling-style seat, and adequate padding for passengers. The tires are foam filled plastic, which isn't as nice as rubber, but they are larger than other plastic wheels which translates to a smoother ride. We think passengers, as well as pushers, will be comfortable using the B-Agile 3. The B-Agile 3 earned an 8 of 10 for weight and folded size. It weighs 17.4 lbs and measures 6,658 cubic inches when folded. It is the lightest and second smallest stroller in this review, making it a good option for those with limited space or parents hoping to use it as a lightweight stroller and full-size option. This stroller earned a 5 of 10 for quality. The B-Agile 3 has a nicer shaped frame than the Baby Jogger City Mini, which translates into less axle kicking while strolling. The fabric is skin-friendly and made with ripstop material. The overall look is simple and functional without a lot of fluff or standout features or materials. The frame has little flex, and the components and connections are nicely finished and tight with no real flaws in construction.